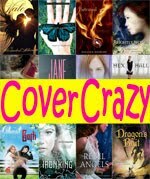 Spotlight List is a feature I do where I pick a topic or theme and then highlight some books that fall into that theme. 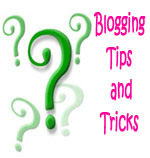 Click here to view previous Spotlight Lists. I often feel like I should read more classics, but, honestly, a lot of them look sort of boring! I like fantasy adventures, not erudite critiques of the modern man's role in society juxtaposed against a blah blah blah. Have I lost you? I don't blame you. I actually have found a bunch of classics that I really do love (Classics that are Actually Fun to Read), but the following list delves into pure fantasy with epic battles, incredible villains, swoon-worthy heroes, questing, fantastic creatures, and true love. Even better, they combine my love of fantasy with my desire to be (or at least pretend to be) "well read" because even hoity toity "high brow" readers recognize how much these books rock! I first fell in love with the animated movie, so I was a little nervous to read the book in case the two were widely different. Thankfully, they’re not. If you love one, then you’re sure to love the other. I, of course, highly recommend both. 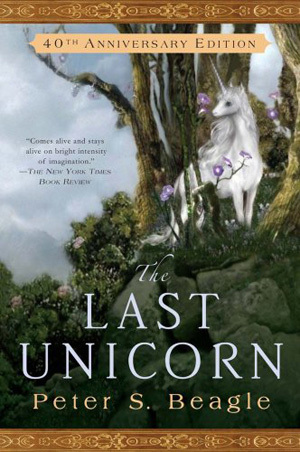 You follow a unicorn on her journey to find out what happened to all of the other unicorns (they’ve all disappeared). Along the way, she meets both friends and enemies, and the reader meets characters who will worm their way into your heart and memory. I’m a character girl, but the plot here is just as strong as the characters. Heartwarming, heartbreaking, hilarious, and scary, I’ve read the book and watched the movie about a bazillion times and I love the story more each time. 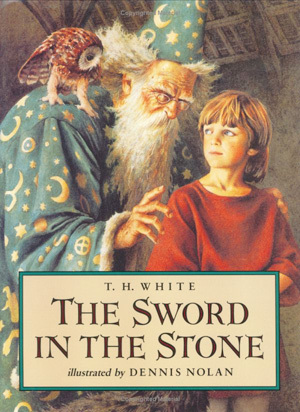 Do I really need to explain why this is a fantasy classic? Tolkien set the standard for epic fantasy. There’s questing, romance, battles, magic, mystery, and lore aplenty! The world building is top notch. If you enjoy the original trilogy, then there’s a wealth of companion books to get your Middle Earth fix. I’ll commit a little blasphemy by admitting that I find the story a lot more interesting than Tolkien’s writing style. I’m also really thankful to have seen the movies first. The movie characters breathe life into the more distant way Tolkien writes them. This is one of the rare cases where I actually prefer the movie version, but the book is still excellent in its own right. The book is written in a style that may lead some readers to think this is a non-fiction account by William Goldman discussing the book The Princess Bride written by a man named S. Morgenstern. 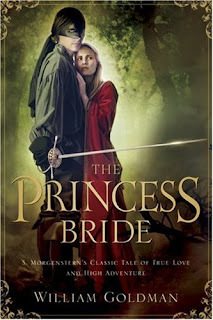 In reality, S. Morgenstern is a figment of Goldman’s imagination and The Princess Bride is entirely Goldman’s creation. I think this approach is initially clever, but dragged after a while and fell apart toward the end. You can easily skip the “non-fiction” sections of the book, however, and read only the sections that relate the Princess Bride storyline. Those parts are awesome. The story is engaging and laugh-out-loud hilarious. The movie basically took these funny fantasy parts and left out all the “non-fiction” parts. I adore this book! 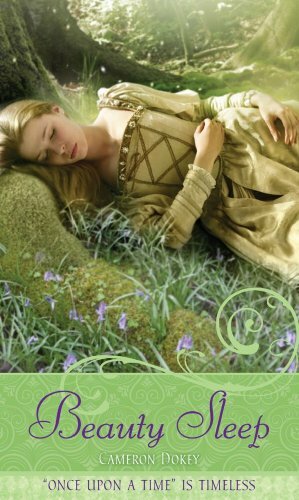 For fans of Arthurian tales, this is an excellent choice. The book is broken up into four parts, and each part can be read separately. The first is The Sword in the Stone and follows Arthur as he grows up and learns from Merlin. This part is light and fun. If you’ve seen the Disney version, then you’ll have a fair idea of what happens here (the Disney movie is based on White’s story). The second section starts getting darker, introducing the characters who will play a role in the fall of Camelot and telling of the seduction of Arthur by his half-sister. The third part tells of the romance and betrayal of Arthur by Lancelot and Guenevere. The final part tells of Mordred and the fall of Camelot. Heavily influenced by world events (chiefly, WWII and psychoanalysis), White’s story can be read on multiple levels: A fantasy story about King Arthur, a psychoanalytic study, or a critique on war and different forms of government. His critiques are interesting and well-formed, but I love this book for the way he made Camelot and its inhabitants come alive. When I was in elementary school, I used to watch the BBC version of The Lion, the Witch, and the Wardrobe every morning before school. I finally read the book years later, but I have to say it didn’t hold up for me. I found Lewis’s writing a little dry and better suited for a younger audience. I wish I had read the series when I was younger. The story is solid, though, and well worth a read. 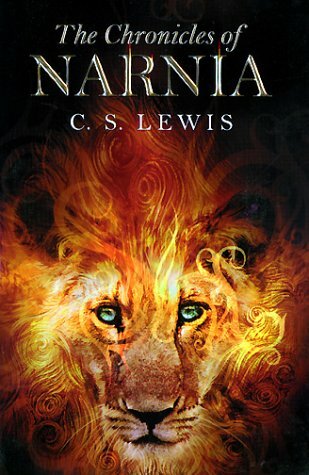 Aslan and the White Witch are epic characters every fantasy lover should acquaint themselves with. I have only read two of the seven stories, but I fully intend to finish the rest at some point. I can see the Christian messages, but I think they’re easily ignored if that’s not your thing. Can you think of any other great fantasy classics? I can't remember now if I read LOTR before or after the movies. I think I may have read them after Fellowship came out, but before Two Towers. At any rate, I certainly wouldn't have picked them up otherwise, because The Hobbit was a DNF for me. LOTR is one of the best examples of movies complementing the books. I'm so glad I actually read them. I never did read Chronicles of Narnia. My husband read The Lion, The Witch, and The Wardrobe, but said exactly what you did - it read too young and so he couldn't get into it. I figured I would give it a pass. The Last Unicorn and The Sword in the Stone sound really good. Adding to GR! How much do I love The Last Unicorn?! It's one of my all time favorites. Like you, I watched the animated movie first, became enchanted, then read the book, again and again. Great genre spotlight. I've watched the movies but really need to get around to reading the books. 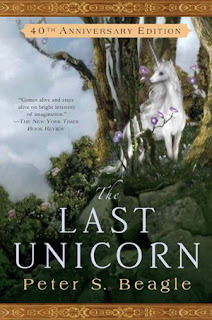 Oh my gosh The Last Unicorn! I was so in love with that animated movie too, I think my parents probably wished they could have hidden it so they didn't have to watch it so often, but that probably would have sent my into hysterics:) Glad to know the book is as enjoyable as the movie, I'll have to pick it up now and see if I love it as much as I did when I was younger:) Thanks for such a fabulous list! 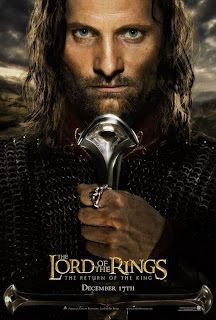 I'm not surprised that you used an image of Viggo for LOTR! XDDD This fangirl approves! I loved The Princess Bride. As a child watching the movie, I didn't get the farcical parts. I just thought it was totally romantic and I wanted to be Buttercup. My mom had a copy of the book that had a little fold out map of Guilder and Florin and I used to take it off the shelf and look at for hours. When I finally did read the book, I fell in love with it. I love the part where Goldman says S. Morgenstern wrote several pages of the visiting princess (who was bald) unpacking her clothing. One thing the movie does much, much, much better than the book is the ending. Missie! Where have you been all my life?! I love The Last Unicorn so much. Every time I think about it I just want to pop in the movie and reread the book. Jenny, LOL! I was that way with The Last Unicorn and Sleeping Beauty. As soon as the movie would end I’d rewind it and watch it again (I just really dated myself with “rewind” huh?) 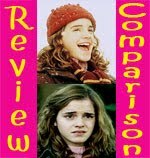 I’m usually really picky about movie and book adaptations, but I thought the book and movie versions were both equally good and very similar. Rubita, Yay for The Princess Bride! I wish my copy had a map. :) I agree, I like the movie ending very much. I would love to be Buttercup, just so long as I got to have Westley! A Backwards Story, Yes! I really enjoyed Philip Pullman's series too. I'd definitely at least consider his and HP to be modern classics. The three series you mention really are staples of fantasy, but I haven't read any of them yet! Though I do plan on reading them eventually :) I have the same feelings about George R. R. Martin's books. I want to read them (and I even picked up a few nice used copies), but I don't want to get so involved in a series that may never end. This post didn't appear in my google reader. Odd. Anyways, excellent list! Still need to read many of these but I really want to someday! A little fantasy in my classics is definitely a great way to get me to read them. Me too. I love fantasy and so many of these fantasy classics are just solid, good stories.